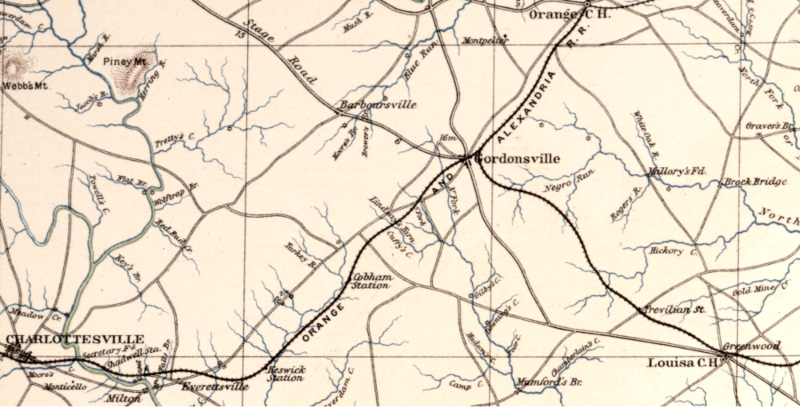 In 1734, the General Assembly divided Spotsylvania County and included all the colony's territory west of the Blue Ridge within the new Orange County. It was named after William of Orange, who had ruled initially with Queen Mary and then solo as King William III. 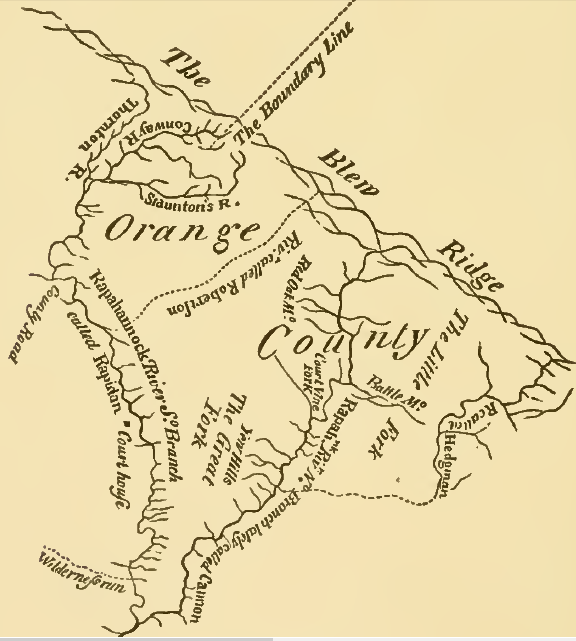 Orange County originally was bounded by the Rappahannock River on the north, the Rapidan River on the south, and on the west by the "utmost limits of Virginia"